The iSIT seating app allows your guests to find where they are seated in a fun and interactive way. The app was designed to be so easy to use that guests of all ages will have no problem finding their table. Our system has been used on thousands of events and has proven it to be a faster and easier method than with traditional place cards. 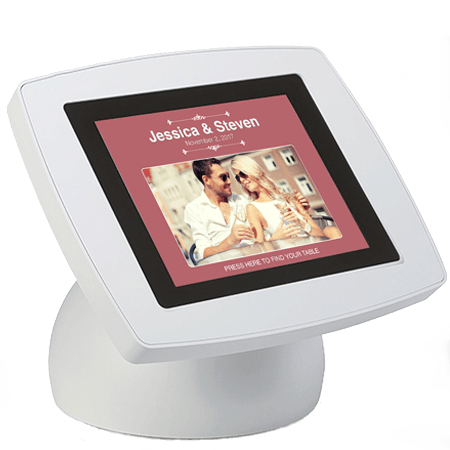 Your guests will love this system for the simple navigation and classic design. There are only three steps guests will have to follow to find their table. Simply scroll over each step to see what it looks like. The main screen is customized with an image and your event colors. Guests will press it to go to the alphabet screen. 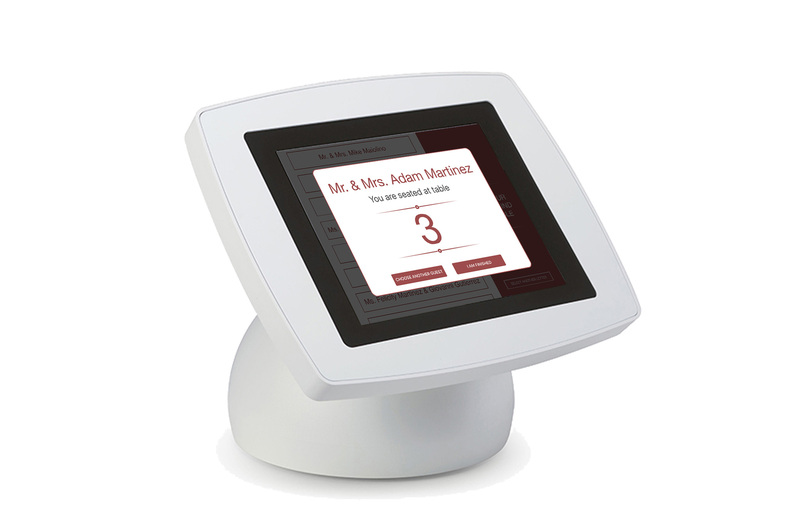 Guests will then press on the first letter of their last name which will take them to the names screen. 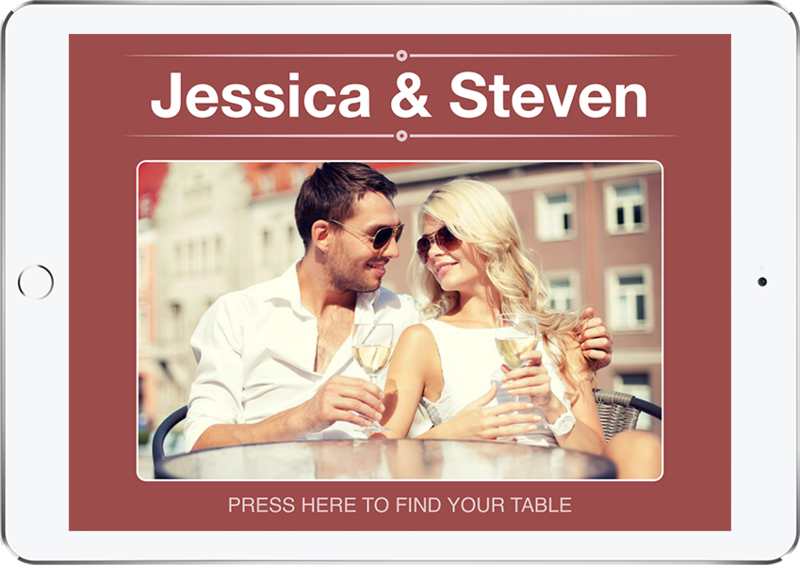 Guests will scroll through the list of names and then press on theirs to show a popup with their table information. Why use the iSIT seating system? The large and non-scripted fonts makes it easy to read especially for older guests who have a tough time with the little print on traditional place cards. The simple navigation has been proven to be faster for guests to find their table. No handwriting of place cards. You simply import your guest list into your iSIT account along with a photo for the main screen and your event color. You can change guests seating right up until the minute your event starts. If you have place cards or a sign-in poster already printed then you are out of luck. With the iSIT system, names are always alphabetically listed. With traditional place cards, as guests start picking through them, they end up being moved around making it more difficult for the next guest. Please enter your event name and password to login. Please enter your event name and email to reset your password.